The DVS TECHNOLOGY GROUP is made up of Germany-based companies focusing on turning, gear cutting, grinding and gear honing technologies. Besides engineering and manufacturing machine tools as well as grinding and honing tools, DVS operates two production sites in Germany where transmission parts are machined in series production exclusively on DVS machines. This adds a high degree of production know-how to the experience of the DVS machine tool and tooling manufacturers. With a unique combination of machining technologies, tooling innovation and production experience for the machining of vehicle powertrain components DVS is one of the leading system suppliers in the industry. 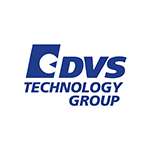 The DVS TECHNOLOGY GROUP has more than 1,300 employees worldwide. On key markets like China, India and the United States DVS supports its clients with their own staff in service and sales. In the field of hard-fine machining of rotation-symmetrical components, BUDERUS Schleiftechnik is among the leading suppliers of high-precision machines for I.D grinding, O.D. grinding and thread grinding, often combined with hard turning. Gear wheels and shafts are machined down to the last µ using BUDERUS technologies, thus guaranteeing maximum precision in modern vehicle gearboxes. As far back as 1911, DISKUS WERKE Schleiftechnik GmbH started its pioneering work in the special field of face grinding and double face grinding, which is still known as "DISKUS grinding" to this day. DISKUS is one of the leading manufacturers of machine tools for the machining of planar and parallel surfaces. Maximum precision coupled with a large removal rate are achieved with the DISKUS face grinding machines. With original tool solutions and global technology support for PRÄWEMA gear honing, DVS TOOLING GmbH offers decisive added value for manufacturers of gearbox components. The DVS TOOLING product line covers the entire range of tools required for gear honing. Central products include the PRÄWEMA ORIGINAL honing ring and the dressing tool VarioSpeed-Dresser®. By using the specially developed finishing technology “DVS LaserCut” on the VarioSpeedDresser®, DVS TOOLING is setting new benchmarks in terms of the surface quality and profile quality of geared components. DVS Universal Grinding GmbH based in Dietzenbach near Frankfurt am Main/Germany manufacturers combined machines for the hard machining and finishing of shafts and chucking components with a maximum distance between centres of up to 1800 mm. 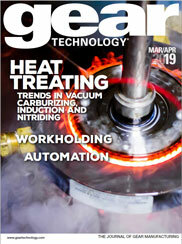 The focus is on component batch sizes from single pieces to medium-sized series production. The company has an extensive technology pool at its disposal thanks to close cooperation with the machine and tool manufacturers within the DVS TECHNOLOGY GROUP. One result of this close cooperation is the machine series DVS UGrind, which for the first time enables grinding, hard-turning and measuring applications to be carried out precisely and profitably in a single clamping. NAXOS-DISKUS Schleifmittelwerke GmbH was founded in Frankfurt, Germany in 1871, and manufactures precision grinding tools for a wide range of different applications. The range of products mainly covers abrasive wheels for double face grinding, outer diameter grinding, centerless grinding as well as gear grinding. Depending on the application, the abrasive wheels are made of materials ranging from conventional abrasive grit to extremely hard cutting materials such as CBN. PITTLER T&S develops and manufactures high-precision turning centres for the soft and hard turning as well as the drilling and milling of rotation-symmetrical components up to 5,000 mm in diameter. In the spirit of the company founder, power skiving technology in particular has been developed into a highly efficient gearing technology and is established not only within the context of complete machining but also as an individual technology in the PITTLER machine portfolio. PRAEWEMA develops and produces machines for the machining and manufacturing of gearing. The focus is on gear wheels, synchronous parts and shafts in vehicle gearboxes. The milling of latching grooves, backing and gear cutting is just as much part of the PRAEWEMA technology portfolio as taper cutting and gear honing. PRAEWEMA developed gear honing technology until it was ready to enter the market competitively, resulting in more than 500 machines sold world-wide by the current market and technology leader. rbc robotics has been a Europe-wide solution provider for camera-guided robotic systems for almost two decades. Due to the manifold experiences in all key industries, rbc is able to establish an intelligent automated robot solution for manual feeding processes. rbc robotics has an almost unique range of competencies, not only in the process and programming area, but also in business management. These include robot programming, process visualisation, control construction, project planning and construction, simulation, production and also installation and commissioning. Machine tools for the flexible machining of shaft-shaped components are designed and produced within the DVS TECHNOLOGY GROUP by WMZ in Schwalmstadt-Ziegenhain. Components with a length of up to 4,500 mm can be machined completely in a single clamping thanks to the modular system. Alongside turning, milling and drilling processes, it is also possible to cut gearing in shaft-shaped workpieces. The centre drive technology further developed by WMZ make the highly efficient machining of suitable components possible.